My mom is the queen of making chicken cutlets, veal cutlets and pork cutlets. 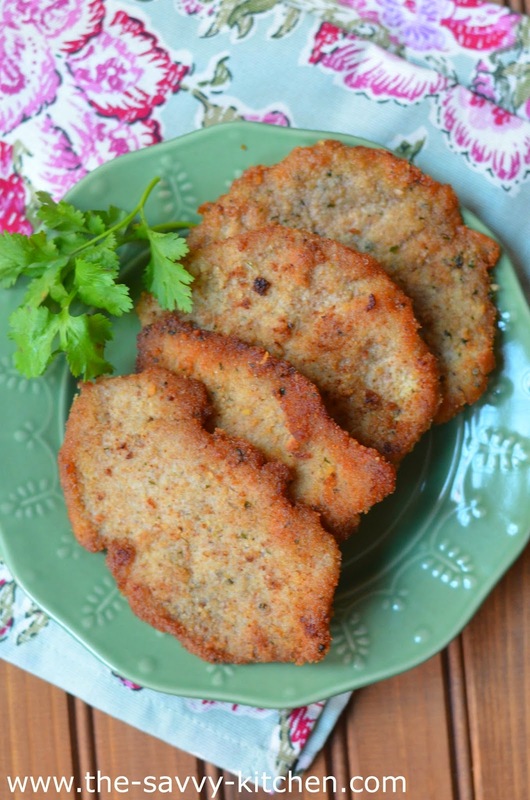 Chicken cutlets are a normal occurrence in her household, veal cutlets only make an appearance when they're on sale, and pork cutlets are very rarely seen on the table only because we usually forget how amazing they are. And then she makes them and we take one bite and we're quickly reminded how delicious they are. 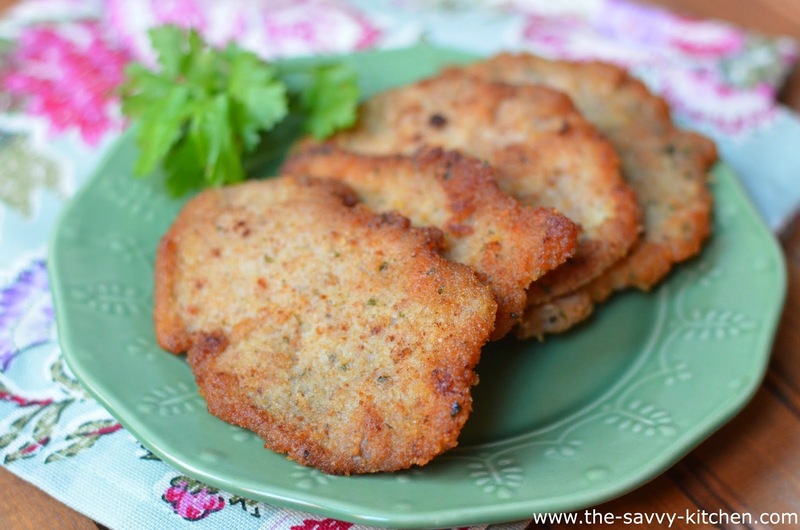 You make pork cutlets like you do any type of cutlet--setting up a dredging station that includes flour, eggs and breadcrumbs and then frying them. My mom leaves out the flour step most of the time anyways, so that just helps reduce the amount of prep work! Either way is fine. The thing that makes them so delicious is that they're pounded super thin, so they are very tender and each bite is filled with the Italian breadcrumb flavor. They are also fried low and slow so the exterior becomes a beautiful golden brown and the meat stays tender. These are amazing on their own so no need for any sauce or accompaniment. Enjoy! Pound pork cutlets until 1/4 inch thick. In a shallow plate, mix flour, 1/2 tsp. salt and 1/2 tsp. pepper. In separate plate, whisk eggs. Put breadcrumbs in a separate plate. 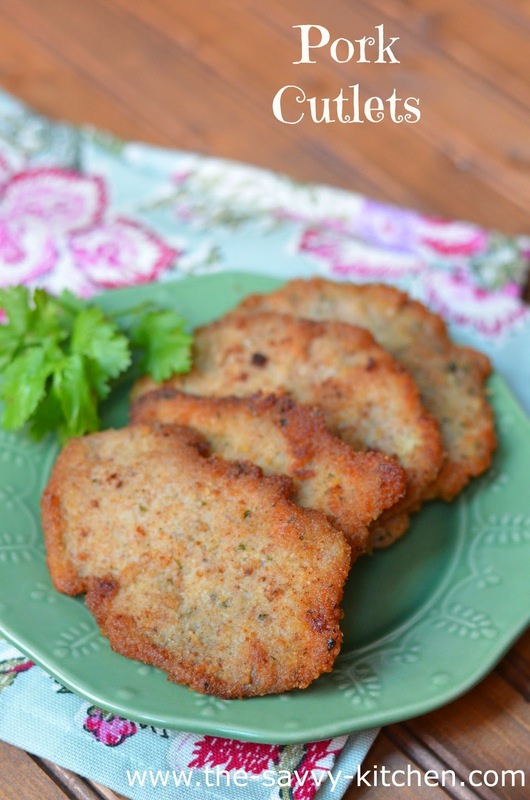 Dip each cutlet in flour, then egg mixture, then breadcrumbs, allowing excess to drip off in between each plate. Heat 1 tbsp. canola oil over medium-low heat. Cook pork on each side until brown, about 2-3 minutes per side. Repeat with remaining cutlets, adding more oil if necessary. Serve immediately or keep warm in a 200 degree F oven.